Professor Marcel Boodt, director of the World center for the study of Deserts, argues that we must look far back into the history of the earth’s deserts if we are to understand their current phase of expansion. Twenty thousand years ago, during the coldest period of the ice ages, the Sahara extended in the some places up to five hundred kilometer further south that its present boundary. At that time, these zones would have been too hot and dry for human occupation. Then, around 9,500 years ago towards the end of the last ice age the climate in this southern zone became wetter. This meant that the limit of the tropical summer rainfall region pushed northwards, and with it, the belt of savanna vegetation. Hollows became lakes and their shores supported crocodile, hippos and rhinoceros. About 4,500 years ago, the warm period following the ice age came to an end and the earth cooled significantly. The land dried out and the deserts took over. The alternation of wet and dry climatic periods may be tired to long tern variations in temperature. When the temperatures are cooler, there is less evaporation and therefore also less rainfall. During the ice ages, for example, rainfall would have been only about half what it is to day. While the main reason for the advance and retreat of the world’s deserts may lie with long tern climatic cycles, humans have certainly interfered with natures balance. The Sahel is particularly vulnerable, and endured four droughts in the 20th century. The last major drought in 1968-1985 led to the widespread misery and starvation. After the drought, there was a partial recovery and greening along the southern edge of the Sahara, but no one can predict if another drought is on its way or not. And it will take many decades before scientists can unravel the complex causes of desertification. Why is the Sahara Desert ruthlessly advancing on the fertile landscape at its boundaries? Why is a third of the earth’s land surface threatened by desertification? Is it due to the ecological sins of humanity, or is the alarming desertification of our planet a natural, unstoppable process? The Sahara covers the northern portion of the African continent, a vast area of sand dunes, rock and desolate gravel plain. For some time, the world’s largest desert has been growing. In North Africa, the average rate of advance is 5 kilometer per year. On the southern edge, drifting sand has encroached into the wetter Sahel region, which runs across Africa from the Atlantic to the Red Sea. Since 1900, the Sahara has grown by a total of about one million square kilometer. The expansion of the Sahara is not unique. In many of the earth’s arid regions, once- fertile land is gradually being turned into desert. Scientists do not agree on the exact causes of this progressive desertification, but what is certain is that it affects many thousands of people each year. Some experts argue that desertification is caused by the over exploitation of natural resources by humans for example, by clearing natural vegetation for use as fuel or by allowing livestock to consume scarce vegetation. As population growth continues in many poorer countries, such practices are likely to go on, and even to accelerate. 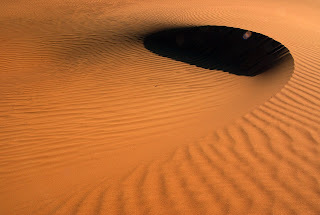 How ever, there are other researchers, who argue that the expansion of the Sahara and other desert is a natural process, and is caused by climatic variations of the kind that have occurred frequently in the history of the earth. 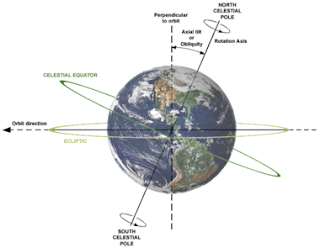 In my previous post we have discussed that the earth’s rotation is decreased about 0.9 seconds. This may seems to be very insignificant one but it may cause very tremendous changes in the entire course of the earth’s life span. Even it also a main reason behind the recent earth quakes, raise in mountain heights and more other geophysical changes in the earth. Not only this, the slow down of the earth’s rotation may result in change in the shape of our planet. In other words if there is no change in the rotation of the earth there won’t be no change in the shape of the earth and hence it will remain with out any change, as an obsolete spheroid. If there is any change in the motion of the earth then that will cause a very powerful movement with in the earth crust and result in the change in the shape of the earth. Because of the slowdown of the earth, it's shape will slowly transform in to perfect sphere. This change initiated since from its birth. This change subsequently makes changes on the earth crust also, the Polar Regions will be raised and the tropical regions will be reduced. It create ridges in the Atlantic and Pacific Oceans. Because of the slow in process, there is a tremendous dynamic pressure with in the earth core, due to the imbalance caused between the gravitation and the rotational inertia. As a result the Volcanic eruptions and earth quakes may occur. Apart from that the slowdown will make the global winds weaker and the evaporation lesser. And subsequently our planet will move through the different climate. In view of this discovery, some experts have excitedly compared the expressive power and vision of the cave painters to the likes of the Dutch painter Vincent Van. Gogh the difference is, however, that the paintings of chauvet-or at least some of them – are among the oldest in the world, and were probably painted for very different reasons. The latest research has shown that some paintings were completed by later Stone Age artists, sometimes after an interval of as much as several thousand years. The old idea that mankind need many millennia to produce works of art is now obsolete. 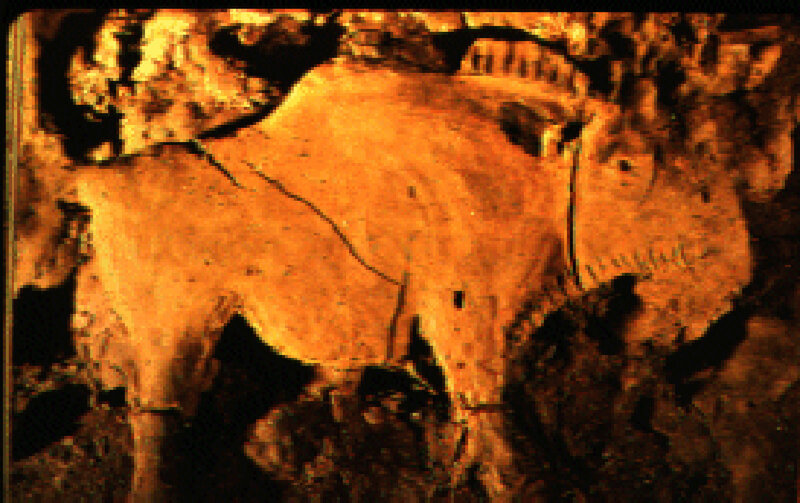 Even those scientists who had previously believed in the slow and gradual development of artistic quality, as shown in cave paintings had to acknowledge that the paintings from Chauvet are among the most carefully executed of their kind ever discovered. The naturalistic representation of animals, the accurate paintings, among with the intentional smudging of contours, the use of perspective all this was evidence of exceptional skill. So, advanced were the Stone Age painters that they could not only endow their creatures with a sense of size, but could also convey the impression of movement. Unfortunately, the origin of the art of these unknown people remains hidden. Did the paintings have a connection to magic or religious ceremonies? Perhaps the answer lies waiting to be discovered in another of these subterranean museums. In 1985, half century after the discovery of Lascaux, the professional diver Henri Cosquer came across another treasure trove of prehistoric art. Between Cassis and Marseille in the south of France, at a depth of 35 m below sea level, Cosquer found a cave that created a sensation among pre historians. The oldest known works of art representing people and animals are 35,000 years old. But they cannot compare to the magnificent wall paintings which adorn Cosquer’s cave. The carbon-14 dating method tells us that the oldest part of the cave is more than 28,000 years old. 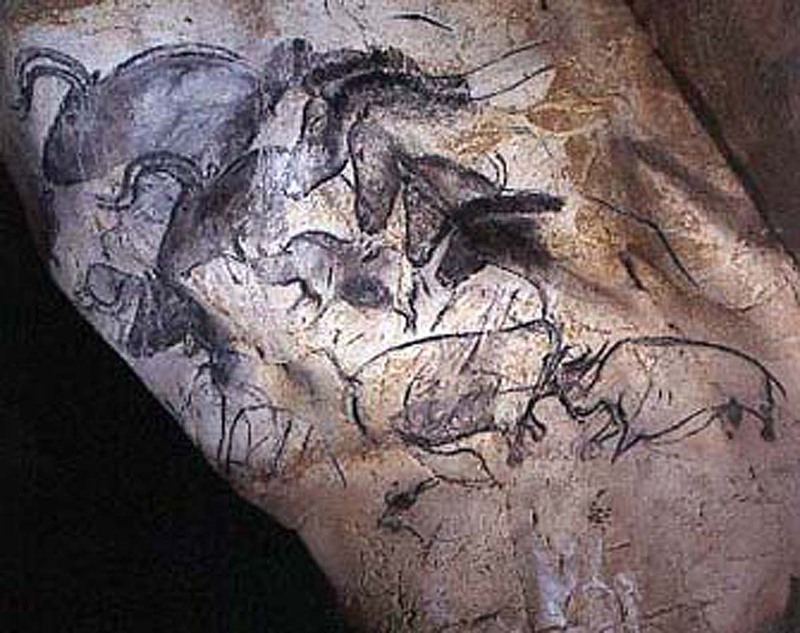 Like Lascaux and the other examples of cave paintings, Cosquer’s cave shows the great hunting scenes of the ice age. The small horses, the three penguins, the jelly fish, The great deer and deer and all the other animals that can be found in the grotto are just like the ghostly hand prints framed in blown red ochre early masterpieces of art. The real sensation came in 1995 when the exact dating of the Chauvet Cave forced experts to revise radically their long established conceptions of the beginnings of painting. On the basis of the Chauvet finds, we can now say with certainty that prehistoric artists began to sale the heights of artistic achievement at least 33,000 years ago very much earlier than was previously assumed.